Exhibition of Satirical Graphic BUCOVINA – ROMANIA, the 13 th Edition, 2019. We address to all the professional and amateur cartoonists from all over the world, regardless of their age. 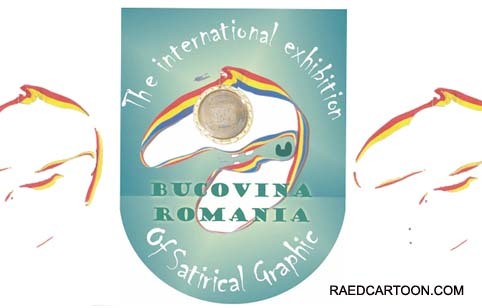 International Exhibition of Satirical Graphic BUCOVINA - ROMANIA, the 13 th Edition, 2019. 3. The number of sent cartoons is maximum five. exact address, e-mail address, a photo and your CV). receive the printed catalogue containing all the selected cartoons. 8. Deadline for sending your cartoons: 31 th of May 2019. 9. The exhibition will be opened for the public in June 2019.